In Asia, there are three renowned gambling cities – Macau, Singapore, and Manila. While Macau and Singapore may be more known for their glitz and glamour, personalizing the term “Asia’s Las Vegas”, it is actually Manila that is the “big brother” of the group, in terms of the longevity of poker and gaming in the regions. According to the Global Poker Index (GPI), both Macau and Manila showed to have held a total of 85 tournaments in 2014, but the total purchase amount in Macau came up nearly five times of that in Manila, putting a higher, more positive focus on the former rather than the latter. CAN MANILA BE ASIA’S MOST FAMOUS POKER DESTINATION? Nowadays, Macau is seen as Asia’s golden goose, attracting many large-scale tournament and cash game operators to the region. But the number of restrictions from the Macau Government on table games make it hard for poker to fully develop, limiting the scale and offers of what can be done. 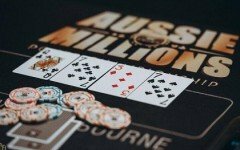 On the other side of that spectrum, Manila has been flourishing during the last two years, with more and more poker rooms being setup to satisfy the demand, and inherently increasing the poker population in the process. According to Poker King Club itself, “Manila has the world’s highest population of players in Asia”. Poker King Club Manila started in May 2015 to fill the demand for the more high-end stakes missing in the Manila poker landscape. Different poker levels and stakes, an abundance of professional poker teams and individuals, a complete tourism and entertainment package, and the relatively low cost of living has driven many players to play poker in the region, especially Korean, Malaysian, and Western players. Manila’s more flexible gaming laws ensure unlimited potentials for poker development, with more tournament operators putting out their own offers for a chunk of the ever-increasing poker population. Poker King Cup National Philippines was able to set sail in Manila for these very reasons, since many of the tournaments in Manila get the strong support of the local poker population, making it the clear next step of Poker King Club’s expansion into Manila. Poker King Club aims to provide a continuous stream of high-quality tournament and cash game offers, and we hope that this short dissertation gives you enough reason to want to experience playing in one of Asia’s fastest growing poker destinations! Come challenge yourself to the event of the season.